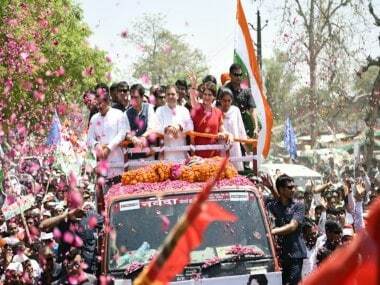 As Opposition unity slowly takes shape keeping a resurgent Congress at the "core", Narendra Modi marked the ceremonial beginning of the BJP's 2019 campaign with a rally in Raebareli on Sunday that was significant in more ways than one. The timing, venue and the topics broached at the public gathering give us a glimpse into how the BJP sees the 2019 battle and how it prefers to fight it. The prime minister looked jaded, possibly due to his punishing schedule, but there was enough venom in his words for the Congress. He must have been aware that more than a thousand miles away in Chennai, Rahul Gandhi's name was being formally proposed as a prime ministerial candidate by a key ally in the south coincidentally on the same day. This suits Modi and the BJP. We saw this phenomenon play out over the past few Assembly elections. In Gujarat, Modi went all out, and had it not been for his pinch-hitting, the BJP may well have fallen to the Congress and anti-incumbency. While the BJP scraped through that tough exam, it failed in the next set of elections in Chhattisgarh, Madhya Pradesh and Rajasthan where Modi was used comparatively sparingly. As this chart by Livemint illustrates, while the prime minister held 29 rallies in Gujarat in December last year, he addressed 15 in Rajasthan, 10 in MP and four in Chhattisgarh this year. It would indicate that the party was willing to hold back its ace. In 2019, however, the mandate is on Modi. There is no reason for him to hold back. The BJP will try hard to present the Lok Sabha elections as a battle royal wherein Modi himself is the issue and every MP across the nation will be his representative, seeking votes in his name. In its attempt to turn the Parliamentary election into a presidential contest, it will therefore help the BJP to have a recognisable face in the Opposition who can be pitted as the challenger instead of a clutch of challengers in different parts of the country — that somehow dilutes the presidential nature of the battle and turns it into localised wars. In this context, let us now place the Raebareli rally in focus, and take a look at the three metrics of timing, venue and topics. The timing of the rally was important, because it was held at a moment of a spike in Congress confidence and the rearrangement of the Opposition's unity index. The unveiling of deceased DMK patriarch M Karunanidhi's statue in Chennai and the swearing-in ceremonies of three Congress chief ministers in Hindi heartland states are important markers towards the formation of the Mahagathbandhan. While there are still a lot of issues to be sorted out (for example, Mamata Banerjee, Akhilesh Yadav and Mayawati didn’t attend the unveiling of statue despite Sonia Gandhi's presence and Mamata, at least, won’t be attending any of the three oath-taking jamborees), it is nevertheless a solidification of anti-BJP forces. To that extent, by holding the rally at this very time, Modi is sending out the message that if the Opposition is getting ready, so is he. The venue for the rally was interesting. In choosing Sonia Gandhi's home turf to begin his 2019 campaign, Modi was essentially putting down a marker that he sees the Congress as BJP’s chief rival. Or rather, he would like to see Congress in that role. To understand why this is so, let us take a look at the topics that Modi picked on Sunday. Many commentators have pointed out that the BJP’s campaigns have become unimaginative of late and a bit of sameness has crept into the rallies of even the BJP's best orator. There is merit in this observation. Rahul may not be the best orator, but he and his team have been able to set the terms for the debate — on Rafale, for example. This is quite a contrast from 2014 when the BJP was setting the terms and the Congress was busy defending itself. The tables seem to have turned on Modi, and he desperately needs a new story to captivate his audience that will help the BJP set the agenda. There is also an indication that Modi is at his best in the role of a challenger, instead of the incumbent. 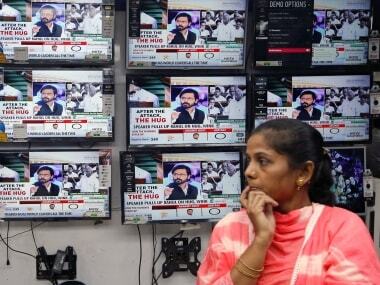 The Raberali rally gave us an indication that Modi was trying to address these twin issues. 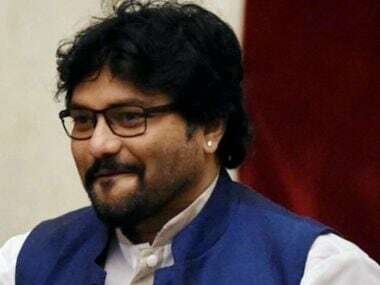 He peppered the Congress with jibes on its past links with Ottavio Quattrocchi and Christian Michel and accused it of trying to project even the Supreme Court as a "liar". He charged the Congress with trying to undermine national security and held it accountable for not implementing the Swaminathan Committee report. 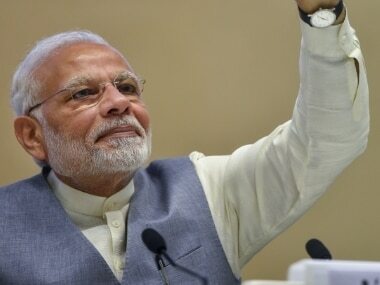 A day earlier, while interacting with party workers in Tamil Nadu through his app, Modi had referred to the jeep scam back in the 1940s and '50s, Bofors in the 1980s, the AgustaWestland and submarine scams, and said that Congress is only interested in making money "even if it means the morale of our forces is diminished. 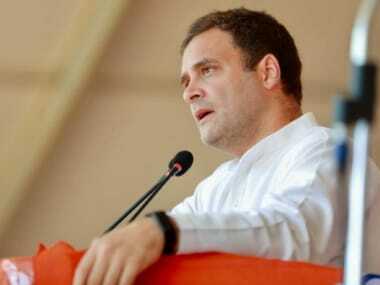 Sadly, for the Congress, national security and the defence sector are either a punching bag or a funding source," he said. The inference is obvious. Modi has picked Congress as the Opposition flagbearer because it is easier for him to develop a counter story around the Congress' corruption and its historical role in undermining India's public institutions. With MK Stalin proposing Rahul Gandhi's name as the prime ministerial candidate, Modi's job will possibly become simpler. In the coming months, we may see a greater focus from the BJP on the Congress' past sins to activate public memory.